Traditional style tattoos are the artistic embodiment of wanderlust and freedom. When they first started appearing on people in American culture in the 1930’s they symbolized a rejection of the American dream and represented a life lived outside the confines of mainstream society. As for today, they say still mean the same thing. Tattoo legend, Norman Collins aka Sailor Jerry pioneered this iconic style in Hawaii during World War II, which was the crossroads for millions of American men at the time. With the revival of Tradition style tattoos, these pieces imbue their bearers with the same concepts they were born of: a rejection of mainstream culture and the quest for a different existence. Traditional tattoos, also known as American, Western, or Old School are characterized by its clean black outlines, vivid colors, and minimal shading. These are fundamental to traditional style and make it one of the most bold and iconic tattoo styles there is. 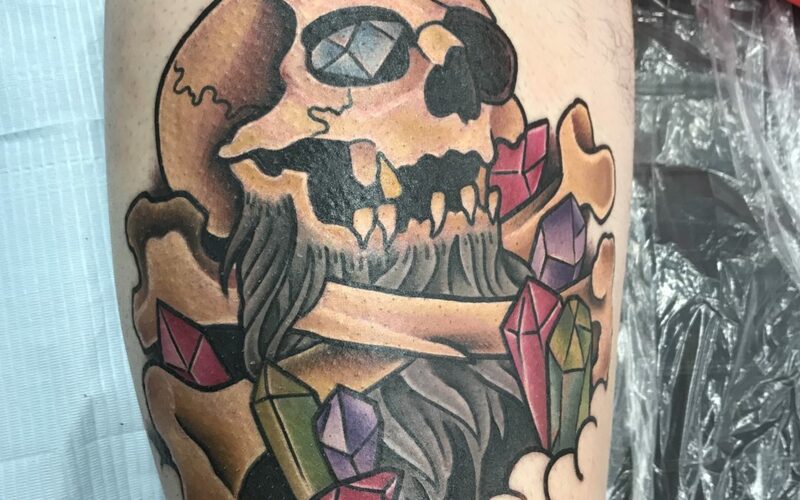 Traditional tattoos often depict women, daggers, roses, wolves, skulls, ships, and more. Traditional tattoos are a union of boldness and complexity. They represent a unique era in mankind’s connection to tattooing and at the same time pay homage to the tattoos they have descended from. Tattoos can be traced back thousands of years to ancient cultures of the east. Mummies dating 3,000 years old have been found with tattoos as well as ancient depictions of people and even figurine. It wasn’t until the 1700’s that Western culture began to take part in the art of tattooing. Those who desired to leave the constraints of society in search of something else were the first to adopt the craft. And they were none other than sailors. 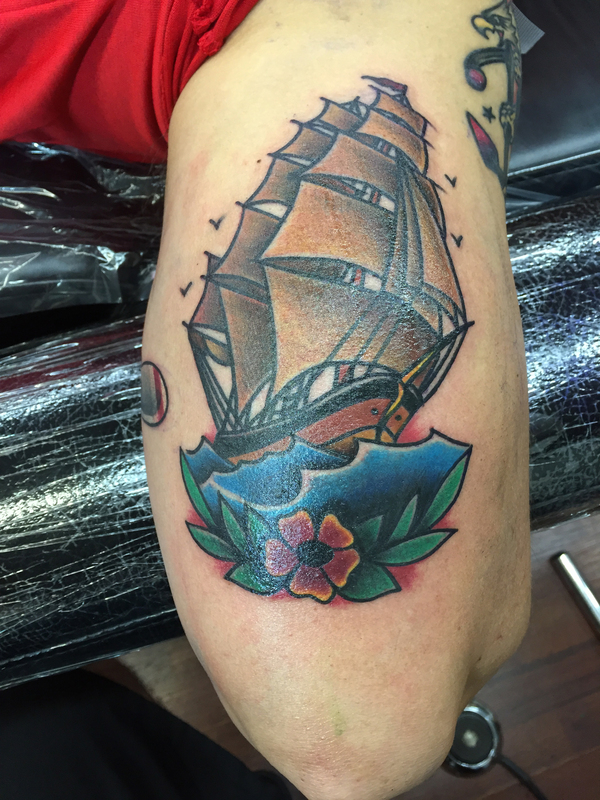 Captain James Cook and crew were inspired by their experiences in the east and started tattooing each other to told tales of their journey. As time passed tattoos remained within a small section of the American culture spectrum: sailors, homeless, and circus freaks. It wasn’t until World War II that layers of American society came together in a rare moment in history to unite against opposing forces. And as tattoos graced only the staunchest servicemen before, millions of men were exposed to body art as they took shore leave in Hawaii. And as the different classes of American men came together at the intersection of Honolulu during the war, there was a tattoo shop ran by a heavily tattooed former Navy man by the name of Sailor Jerry. As Honolulu became the ultimate destination for servicemen on shore leave Sailor Jerry built his reputation on their arms, backs and shoulders. 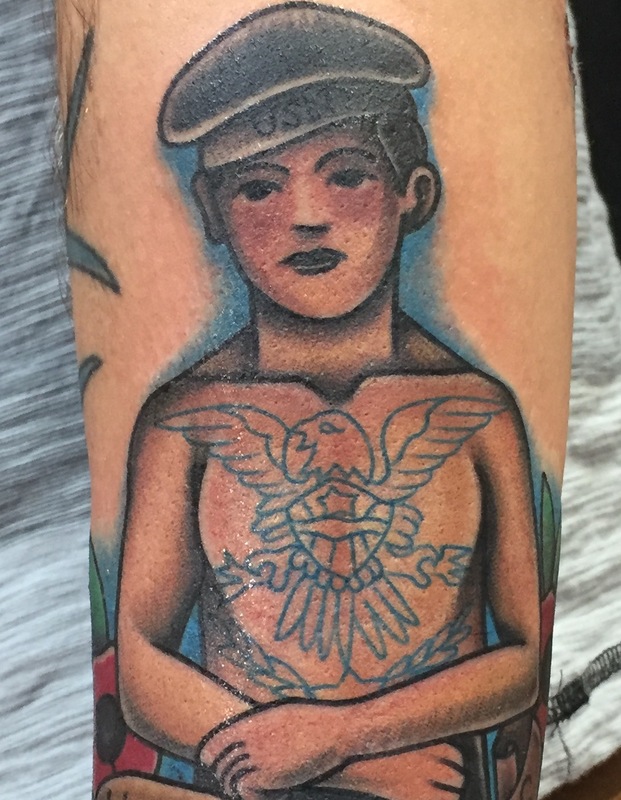 This is where his audacious iconography and vibrant colors changed the world of tattoos forever. Out of pure creative ambition Sailor Jerry cultivated a new kind of tattooing. Ironically, the new style he was tattooing on the men fighting in the war was heavily influenced by the same culture that had started it. As one of the first Westerners to learn from the great Japanese tattoo masters, he built on the ancient Japanese techniques he learned and combined them with the bravado of his American sensibilities. Through sheer mastery of the creative techniques he refined his style into what we revere today as Traditional style. As tattoos are more acceptable in American culture today this style has evolved into many other categories of body art. Neo Traditional pays homage to the original style with the use of thick, black outlines and well saturated colors with an expanded repertoire of imagery and meanings. 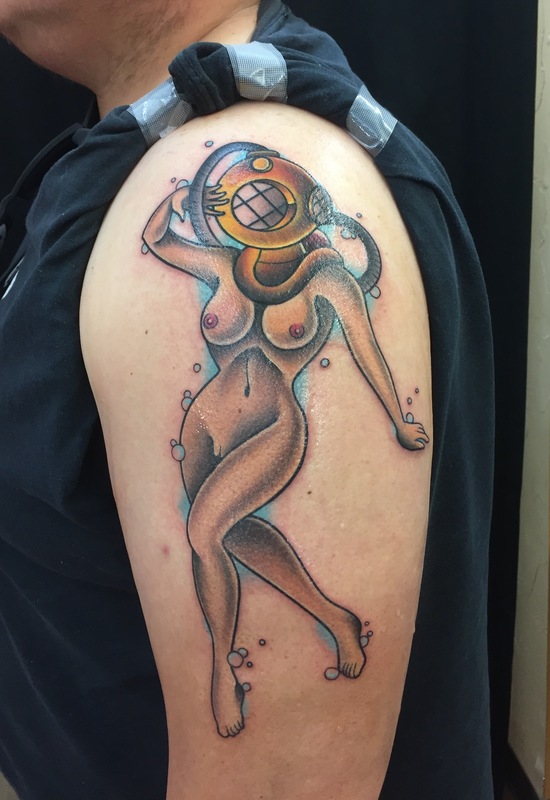 Traditional tattoos represent a crucial moment in evolution of tattoos, and a major event that led to the integration of tattoos we see in American culture today. 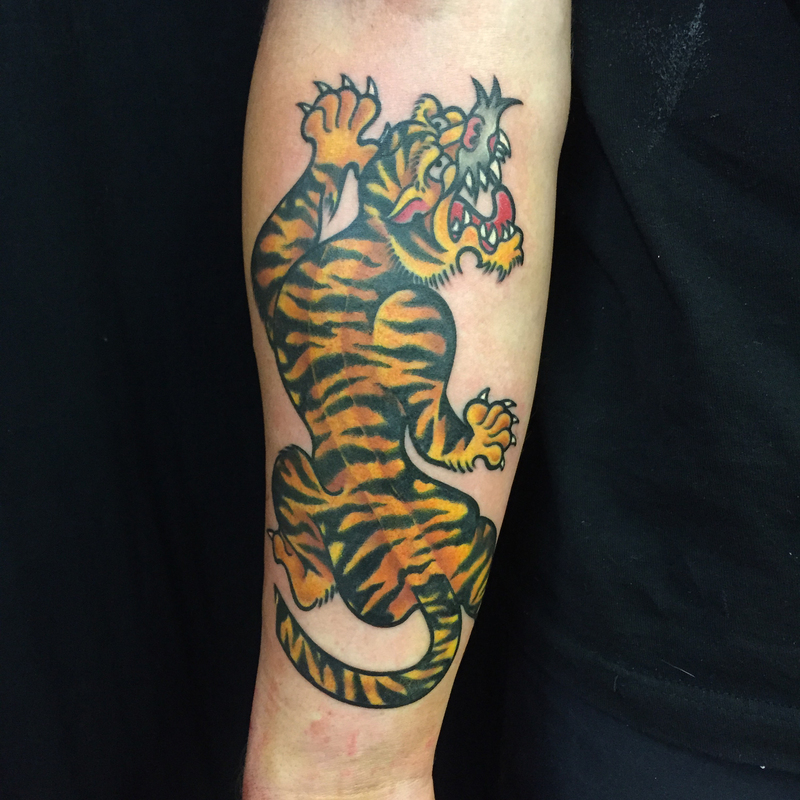 If you’re interested in getting a Traditional tattoo of your own, we can help. Reach out and one of our artists will get back to you soon.